You spent weeks, maybe even months, searching for that special someone to help your business soar. They were the best of times, they were the worst of times; but you persevered and found the perfect employee to join your team. Congrats! Give yourself a pat on the back, because the hard part is over, so now what? 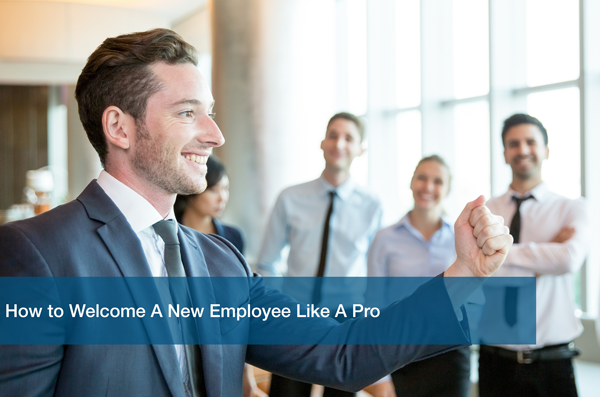 Bringing on a new employee is both exciting and overwhelming for everyone at your company. We recently talked about The Art of Finding New Employees. A company’s success is dependent on each individual so it’s important to be efficient with the on-boarding process. The most important aspect of bringing on a new team member is making sure they feel welcome. Put yourself in their shoes – starting a new job surrounded by unfamiliar faces can be daunting for a newbie. Remove this stress by assigning a mentor or buddy to show them the ropes. This buddy will be the go-to for all questions, concerns and casual hangouts for your newest team member. It’s important to get to know your new employee. Immerse them in your company culture as soon as possible, and having a buddy will help! At ITC, we are all about employee bonding events and having a good time. Whether that is offsite lunch or singing karaoke, there is no better way to get to know the team. The key is to remember that we have all been there and a simple “hey, how ya doin'” can go a long way. When it comes to training, sweat the small stuff. Everything you know, your new employee does not. Whether it’s a login for an account, the length of lunch or a policy on wearing hats to work – go over everything in detail. Though this may seem mundane, it makes a huge difference. Also, keep in mind that there is a learning curb each time you bring someone new in. If the newbie needs some extra help in a specific area of training, ask them what you can do to help moving forward. Remember, this is all new and unexplored territory and they want to succeed just as much as you do. Let’s be real, the sooner you can give your new employee projects that will contribute to the success of the team, the better. There is nothing that makes a person feel more like they belong than being able to use their skills for the greater good of the company. A new employee wants to succeed and earn the right to work as part of your team. Knocking off those training wheels might be what they need to kick-start their role. As we all know, failure is not fun; but failure is a huge factor in the learning process. That’s not to say you should throw your new employee to the wolves and wait to see what happens. Your new employee should become engaged sooner rather than later in order for them to dive in and add value to the team. You have a new employee, this should be exciting! Take time to get to know the new team member and feel blessed that you aren’t still interviewing applicants every other day. The grass is greener on this side – we promise. So don’t stress yourself out. Your new employee will be a pro in no time and you will start to forget a time where they weren’t part of your team. This is a grand time for your expanding company, so take a seat and have fun! Here at ITC we know good things take time. When bringing on a new employee, it is imperative we make them feel at home with our ITC family. Having the right team of IT support is important not only to our company, but to our clients as well. As you start to expand your business, make things easier with reliable IT support. Schedule a Free IT Analysis with us to see how we can help your company and your team soar.